At the office of Dr. Rizos, we work with the finest dental labs and restorative materials in the industry offering BPA free nightguards and white fillings. We have state of the art equipment that assists us in providing the very best care. We use hospital grade disinfectant and utilize state of the art sterilization techniques as well as the Triangle sterilization system. To further protect our patient, we have our Autoclave monitored and tested at recommended intervals. All of the clinical staff use Surgical Loupes for magnification to allow us to provide the highest level of clinical care. At each hygiene appointment, reserved for a full hour for all adult patients, areas of the mouth are cleaned below the gumline, not just above the gumline. 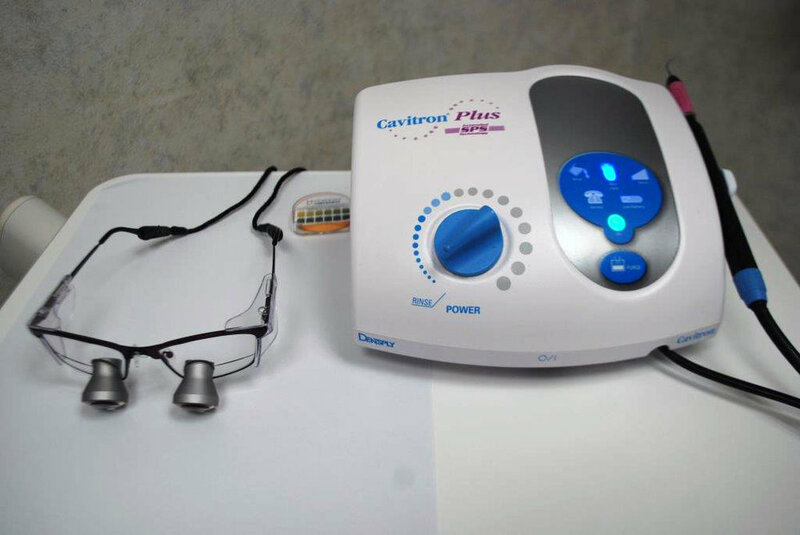 And, our hygienists use the "Cavitron" ultrasonic cleaning system in addition to hand instrumentation for patient comfort and meticulous results. If you have been diagnosed with periodontal disease, it is comforting to know that all of our hygienists have had periodontal training. Dental Office - Dental Office Dr. Nicholas C. Rizos, Dentist, Bedford, NH. Dental Office Dr. Nicholas Rizos, Dentist, Bedford, NH.